One way that I like to look at the schedule is to base it’s difficulty on how tough are the quarterbacks the Bills face. I like to rank these QB’s in four categories. These categories would be: elite, could be elite, above average and bottom 12. Obviously you’re in for a tough year if you face a bunch of elite QB’s. There is this assumption that the Bills face a tough schedule this year. Let’s see based on the QB’s. Tom Brady, New England: The schedule always looks tough when you have to face the GOAT twice a year. I always count these two games as losses and will continue to do so as long as Brady and Bill Belichick are in New England. Aaron Rodgers, Green Bay: This is the other for-sure loss on the schedule for me. Going into Green Bay to face Rodgers is too much to ask. The fact that it’s the Packers 100th anniversary of football will make it even tougher to get a win in Lambeau. 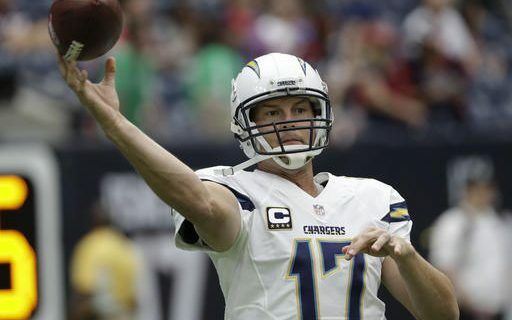 Phillip Rivers, LA Chargers: I’ve always loved Rivers and still think he has at least one good year left in him. I’m on the Chargers bandwagon this year. That being said it is the Bills home opener. The Bills want to respond from the 50+ points the Chargers put on them last year. I think this is a close game. Andrew Luck, Indianapolis: The Colts have been so secretive about Luck’s injury the last 15 months. I’m not convinced he will be back to elite form this year. I need to see him take a couple of good hits in a game and respond before I declare him back. New coach and system along with the long layoff means we will have to see. This is a very winnable game for the Bills. Deshaun Watson, Texans: Fantasy players are all over Watson this year. He only played seven games last year but he averaged over 35 fantasy points in those games. The way he played last year you would have to put him in elite. Problem is he’s only played seven NFL games. I need to see at least a few more games before I put him in the elite NFL QB category. Kirk Cousins, Minnesota: This looks like the Atlanta game last year for me. I couldn’t see the Bills going into Atlanta and coming away with a victory. But it happen. Going into Minnesota against that defense would seem like a certain loss, but remember the Falcons. Matthew Stafford, Detroit: I like the QB but have serious questions about the team. First Matt Patricia is a first year coach and former Belichick assistants haven’t proved to be good head coaches. Patricia’s defense ranked 27th last year with the Patriots. The Lions defense isn’t very good. I see this as a win at home against a dome team in December. Joe Flacco, Baltimore: I see Lamar Jackson taking Flacco’s job by the end of the year. I’ve never been a Flacco fan. I believe he got lucky to win the Super Bowl. This is a very winnable game against an aging below average QB. Marcus Mariota, Titans: This is a make or break year for Mariota in Tennessee. Mike Mularkey got fired because Mariota regressed as a QB. Last year he threw 13 TD’s and 15 interceptions. Bills fans that didn’t think Tyrod Taylor was good enough can’t like Mariota. Tyrod and Mariota have similar TD numbers but Mariota has thrown twice as many interceptions the last three years as Tyrod. Mitchell Trubisky, Bears: Trubisky started 12 games last year for the Bears. He threw 7 TD’s and 7 interceptions. He never threw more than 1 TD in a game. The Bears are supposed to be better but the Bills at home should get the win. Jets Quarterback: Not sure who the Jets will go with this year at QB. They may go with a few different QB’s. Josh McCown had a good year last year throwing 18 TD’s and 9 INT’s. Problem is I can’t see them not turning the reins over to Sam Darnold by mid-season. Darnold turned the ball over way too much last year at USC when he had superior talent. He has to prove to me he can take care of the ball. Blake Bortles, Jacksonville: Count me off the Jaguars bandwagon this year. I know Tony Romo has predicted they go to the Super Bowl. I’m going the other way and think they fall back. Borltes in my eyes is the fourth worst quarterback in their division. And see above I don’t like Mariota. The Bills only lost by seven in Jacksonville in the playoffs. Bortles was horrible. Jags play a tougher schedule this year. They move on from Bortles after this year is my prediction. Ryan Tannehill, Miami: I’ve never been impressed with Tannehill as a QB. The Dolphins had a huge turnover in their roster this year. Losing his best WR in Jarvis Landry can’t help. I think Adam Gase could be in trouble this year. I believe like last year the Bills are a better team than the Dolphins and have a good chance of winning both games. I’m not a believer that this schedule is as tough as what many others believe. The Bills play eight games against quarterbacks I believe will end up towards the bottom of the league. If the Bills defense is better than last year, then these should all be very winnable games. The second half of the season look very good. In the Bills last eight games the only the Patriots contest in Week 16 looks like a loss. Bottom line this schedule isn’t nearly as difficult as others would lead you to believe.